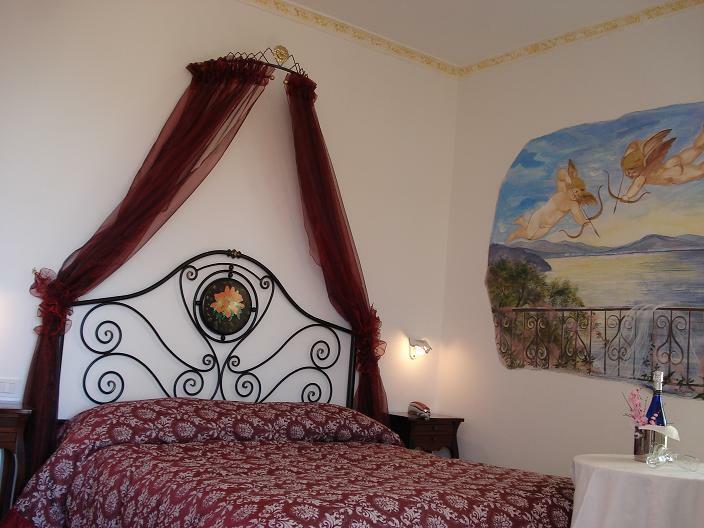 Guests of this charming hotel can relive the fascinating story of nearby Pompeii, or follow the evocative path of the Gods and admire the world from a divine perspective. And, in the evening, they may enjoy a wonderful sunset from the hotel garden. The family friendly hotel is housed in a new building and the accommodation is very comfortable rooms and a large garden. The hotel offers a large breakfast room, with homemade cakes, delicious fruit shakes and energising juice squeezed from local oranges. Further facilities on offer to guests include a lobby area with a 24-hour check out service, a cloakroom, a café, a mini supermarket, a disco, a TV lounge, a hairdressing salon, a bar, a pub, a games room, Internet access and room service. A laundry service is included in the price of the room and there is parking for those arriving by car. This establishment is situated in a beautiful little town on the Amalfi coast. Imagine a place where the sky and the sea meet, a place where your gaze wanders from the marvels of the Amalfi coast to the Bay of Naples, or the Gulf of Capri. Positano Beach is around a 30-minute drive away and it is not far to Amalfi, Positano, Pompeii or Sorrento, with links to the public transport network to be found around 300 m away. In addition, guests will find various shops, bars and restaurants in the vicinity. It is around 25 km to Naples Municipal Airport. The rooms offer a private bathroom with a shower, a hairdryer, a TV, a telephone, a beautiful sea view, fine furnishings and central heating. Furthermore, guests are offered Internet access, a microwave, tea and coffee making facilities, a king-size or double bed, centrally regulated air conditioning and either a balcony or a terrace. The hotel has its own kitchen-garden and guests may enjoy the delicious Italian dishes prepared on site. The comfortable bar not only offers a breakfast buffet, but also other specialities, and hosts activities organised for guests' entertainment. 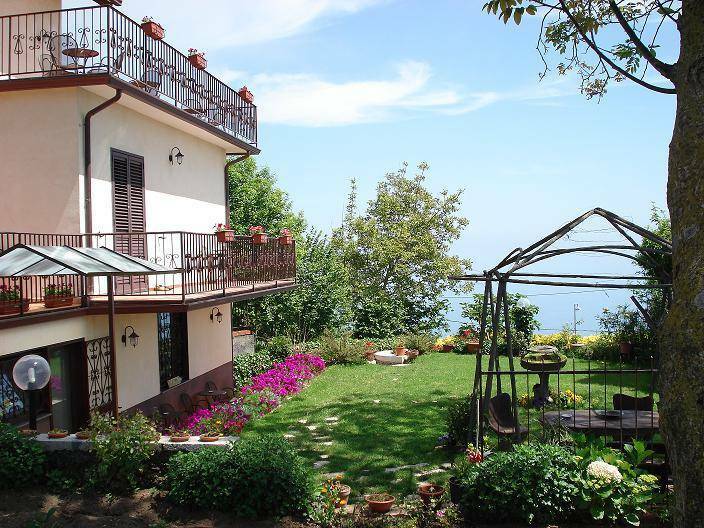 We are situated in Agerola, the green gateway to the Amalfi Coast, the Nido degli Dei provides the warm welcome typical of Southern Italy and is the ideal destination for a relaxing holiday, immersed in the unspoilt greenery of the Lattari Mountains. 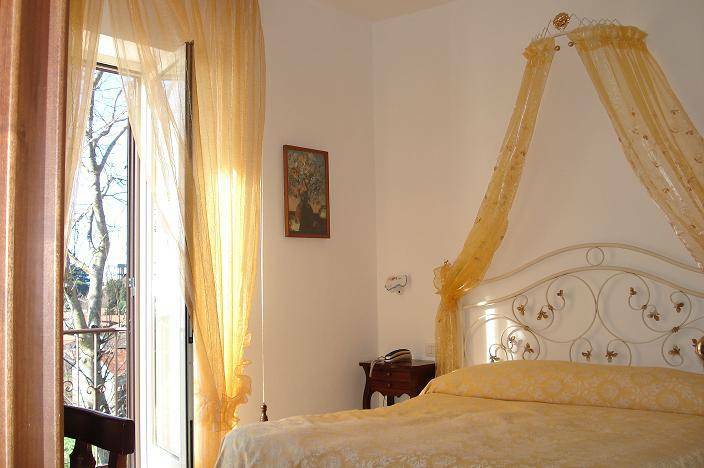 The Nido degli Dei is situated beyond the chaos of the city and within easy reach of the most beautiful beaches of the Amalfi Coast, Pompei, Naples and of the most beautiful artistic cities of the region Campania. 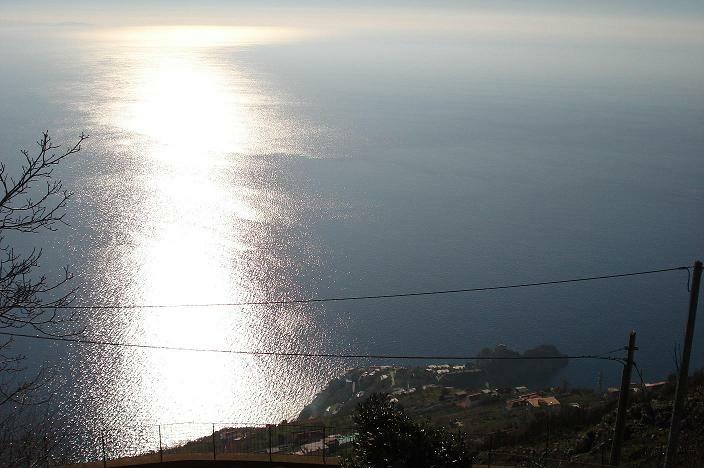 Walking and trekking are one of the main attractions of Agerola: the paths which are suspended between the sky and sea, are in fact the preferred destination for an ever increasing number of walkers, and in a short amount of time it is possible to wind amongst the luscious vegetation of the Lattari Mountains and down towards the clear blue waters of the Amalfi Coast. Not only breathtaking views, but culture, art and thousand years old traditions are also on offer: on request the hotel can organise excursions led by expert guides in the local area so that you can enjoy the breathtaking views offered by the Path of the Gods, Paipo, the Lauritano Castle, St Lazarus Point, Mt Vottara and the artistic treasures of secluded little churches and imposing castles. (8KM) from Bomeranos square a very picturesque path takes to Positano. Along the way one reaches the Biscuits cave (Grotta del Biscotto) where geological rocks and ancient wellings embedded on them can be admired. After passing over the Colle Serra crest the amazing and unique panorama overlooking the Sorrentine Peninsula is simply divine. (5KM) Next to the Leggia waters spring in Campora, a pathskirts in a green valley along the Penise river betweenchestnut woods. On the way can be admired some ancient craggy refuges and the ruins of an old borbonian powder magazine. Later many springs: FiubanaSan Giuliano, Acqua Fredda and finally at 1000 meters there is the Vracciara spring with an astonishing view of mount Vesuvio and tha Gulf of Naples. (6KM)A secular mules track made of large steps departing from San Martinos square in the hamlet of Campora, reaches up to the Pontechito, a beautiful ledge with a view over all Agerolas valley. Further on one reaches the Hawks peak above the Venes hill overlooking Amalfi, Ravello and Salerno. (4KM) Departing from Bomeranos square a mule track brings to Santa Barbara. Continuing to the right under the Santa Barbaras cave, the path crosses the Praia Rio on to Praiano and Vettica Maggiore. Reaching the main coastal road, next to S. Lukes church steep stairways lead to Cala di Rezzola. (6KM) Starting from Bomeranos square going up towards Pendola and Paipo past the Casino house (ancient house) as far as Capo Muros ridge turning south along the Calavrice crest reach mount Three Calli with a 360 degree view overlooking Agerola and the Amalfi Coast. (7KM) Behind S. Petes church in Pianillo there is a mule track that goes up to Locoli and the Sugheros hill, where intersecting the High Lattaris way and going west rounding the pyramidal shape of mount S. Angelo one reaches the Blessed Waters cave. Asmall climb will bring on top of the Lattari chains highest peak. (5KM) Departing from Bomeranos square a mule track brings to Santa Barbara. Crossing the valley beneath the grotto one reaches the main road. Walking along it one encounters the path that leads into the gorge of Schiatos torrent. Crossing the stream next to an ancient mill and climbing up one will reach San Lazzaro. (4KM) Starting from San Lazzaro centre, going up the main road to Radicosa and then on the ancient mule track that leads to Muriellos mountain. Circling, southeast, the mountain and turning south it finally reaches the medieval Cospita Convent. (4KM) Fron Punta Belvedere in San Lazzaro an ancient staircase goes down to Tovere and to Vettica Minore, finally reaching Santa Croce beach. (4KM) Next to Belvedere Fausto Coppi an ancient staircase goes down steeply to the coast. Along the deep gorge it reaches the Fiord of Furore, an old fishing hamlet recently totally restored to its original aspect. The closest station is Napoli Centrale only 45 km from Agerola. The closest airport is the Capodichino International Airport of Naples. To get to Agerola follow the instructions above. To make your journey as comfortable as possible the Nido degli Dei offers its guests transfers form/to both the airport and train station.